Recently, the Centers for Medicare and Medicaid Services (CMS) announced it would allow insurers to offer expanded short-term, limited duration plans, known as “junk insurance.” This action led NCCS to join several other national organizations in filing an amicus curiae brief in support of a lawsuit that challenges the regulation authorizing short-term health insurance plans. The amicus brief explains to the court the potentially devastating impact of short-term health insurance plans on people with cancer and other Americans with serious and chronic diseases. Short term plans do not have to comply with the Affordable Care Act's (ACA) patient protections, including protections for pre-existing conditions or essential health benefits. In addition to legal action on the short-term plans, there was also legislative action in Congress. On Wednesday, Senate Democrats forced a vote on a resolution that would reject the new CMS rule to allow short-term, limited duration plans. Despite Republican Senator Susan Collins voting in favor of the resolution, it failed to pass. As Kaiser Health News reports, the vote wasn’t a complete loss for Democrats as it forced Republicans to vote to protect health plans that don’t include the ACA’s patient protections, just a month before the midterm elections. 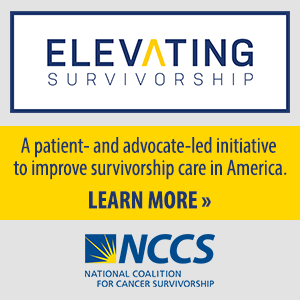 NCCS this week launched its first state advocacy webpage that hosts a plethora of resources for advocates who are interested in making an impact at the state and local level to improve cancer care and outcomes. 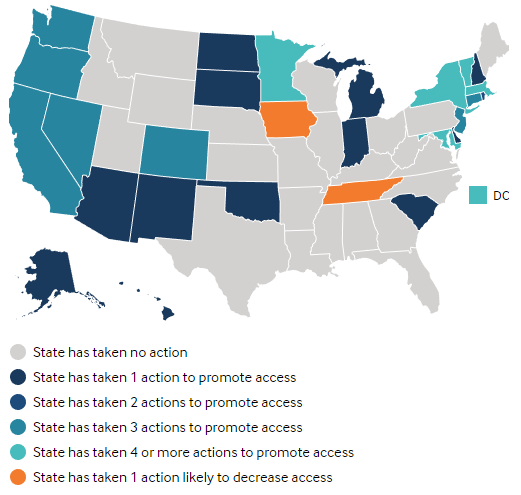 The webpage features an NCCS webinar on state cancer coalitions, an advocacy toolkit, and state-specific resources for your advocacy efforts. State comprehensive cancer coalitions are funded by the Centers for Disease Control and Prevention (CDC) and are made up of community stakeholders, including patient advocates. NCCS is a National Partner for the CDC’s Comprehensive Cancer Control Program and will assist state coalitions in their development of cancer control plans. Check out our state advocacy webpage to learn how you can get involved in state policy and contact Lindsay Houff at lhouff@canceradvocacy.org if you have any questions. With ongoing uncertainty at the federal level about the ACA and patient protections, some states are taking matters into their own hands. Visit this site to see if and how your state may be engaged to impact access to adequate health insurance. For the first time since the ACA was signed into law, insurance premiums for benchmark plans, which are used as a measure of the individual market’s success, are going to drop by 1.5% for 2019. Larry Levitt of the Kaiser Family Foundation says the reason is likely due to the Trump Administration’s decisions to abolish ACA subsidies and repeal the individual mandate, causing insurers to over-price coverage. “The overwhelming reason average benchmark premiums are coming down in 2019 is because premiums went up by so much in 2018,” said Levitt. On Wednesday, President Trump signed two bills that would ban gag clauses that prohibit pharmacists from telling customers that paying for their drugs with cash, rather than using their health insurance, could save them money. The bipartisan bill is a step forward to improve transparency in drug pricing. Several states adopted gag clause bans on their own, but this bill would eliminate the gag clauses across the U.S.